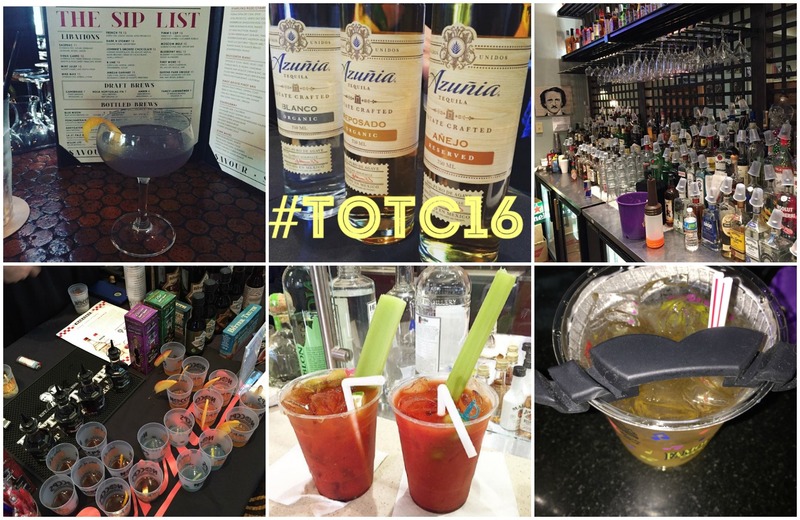 IN A SEA OF MORE MAN BUNS AND BEARDS THAN WE’D EVER SEEN IN OUR LIVES, we discovered one of the best industry conferences in the country – the 14th Annual Tales of the Cocktail in New Orleans. This is THE premier professional cocktail festival. Azuñia Tequila flew us out to Louisiana to explore the city of New Orleans and to cover the event live for their fans, many who aspire to be mixologists themselves or simply love enjoying a good cocktail at home, like us! Our hotel was gorgeous. We stayed at Hotel Monteleone, a luxury hotel with haunted stories to spare, and home to the Carousel Bar, the nexus of the hotel and, at times, the entire convention. Event goers converged at the grand Carousel Bar to order some of the most exotic and hottest cocktails of the day. It’s a cool spot as the bar stools rotates around the bar. While you’re here, order a Sazerac, the city’s signature cocktail consisting of Cognac, bitters, and sugar mixed in a glass that had been swirled with absinthe. 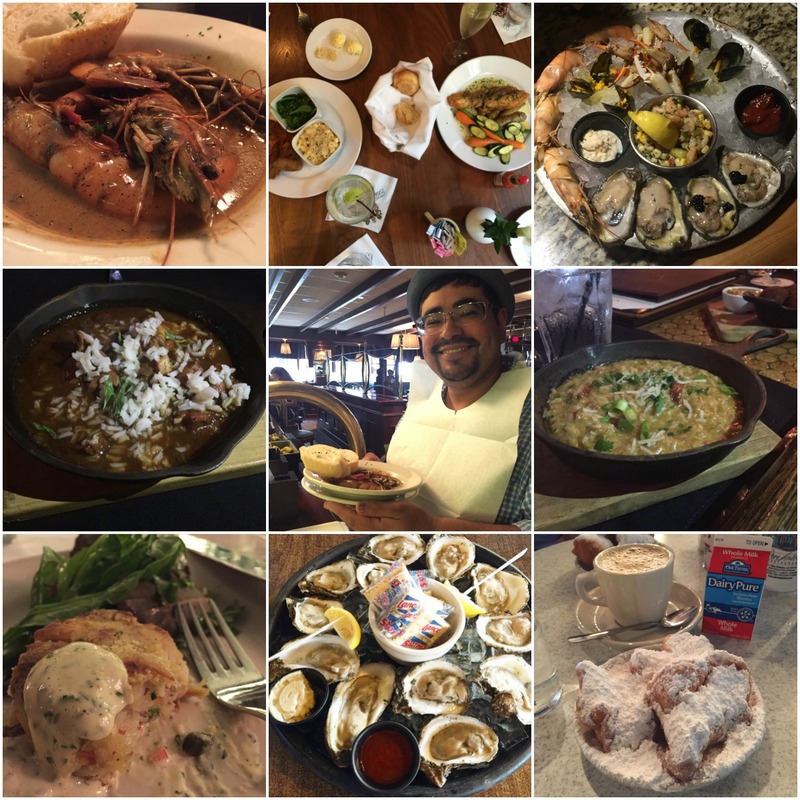 It’s a little taste of New Orleans. And if you’re exploring the hotel, head to the top floor for a quick dip in their rooftop pool and enjoy a Vieux Carré, a sinful blend of whiskey, Cognac, bitters and sweet vermouth. 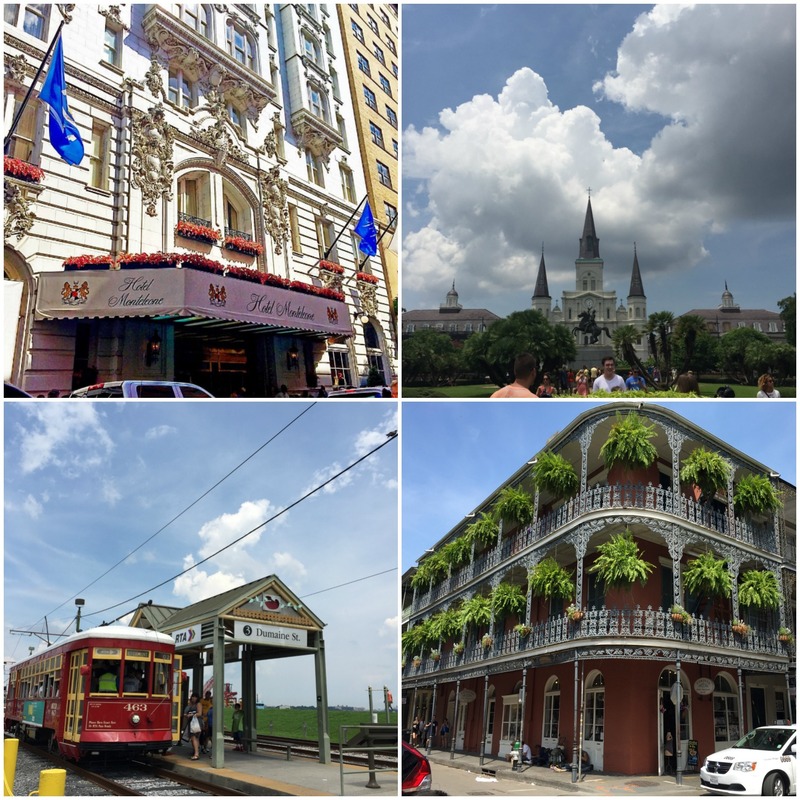 Despite the 98-degree weather with humidity above 85 percent, Art and I waddled through the streets of NOLA like two seals, hitting Bourbon Street and dining at some of the best restaurants in town. We ate gumbo, jambalaya, raw oysters, grilled oysters, shrimp po’boys, fried oyster po’boys, collard greens, cornbread, BBQ ribs, and meatloaf. And of course, a trip to New Orleans is not complete without standing in line at Café Du Monde for their famous powder sugar coated beignets and chicory coffee. Yes, even in the heat and humidity we stopped for coffee because chicory also has a sensational cooling effect! The Tales of the Cocktail had many spirit brands represented, including our beloved Azuñia Tequila, but the key to making the most of non-stop cocktails and heat, is to stay hydrated. Conference organizers had huge buckets in every corridor filled with iced bottled water, which allowed us to live to tell the tale. Barely. Now, let me tell you, Tales of the Cocktail is my kind of conference! Insightful seminars, tastings, competitions, networking opportunities and other spirited events. Workshops covered the spectrum of cocktail topics, from “Elevating the Dive Bar” with Michael Neff of Holiday Cocktail Lounge and Delilah’s Mike Miller, to “Mexican Flavors” with chef Rick Bayless, agave expert Ivan Saldana and the Bon Vivants’ Scott Baird and Aaron Melendrez, who by the way is also one of our favorite mixologists at our favorite new restaurant in Los Angeles, Salazar. At a tasting event and the sponsored Dynamic Duo event at Bar Tonique, Azuñia Tequila’s Sales Manager and Chief Mixologist Kailee Asher served an Azuñia Paloma and Batanga in a bottled cocktail format and also offered Cantaritos in traditional cantarito clay mugs. On Saturday evening the annual Spirited Awards took place, with Jeffrey Morgenthaler nabbing awards for both American Bartender of the Year and Best Cocktail & Spirits Writer, while Best American Cocktail Bar went to San Francisco’s Smuggler’s Cove and Best New American Cocktail Bar went to Sweet Liberty in Miami. 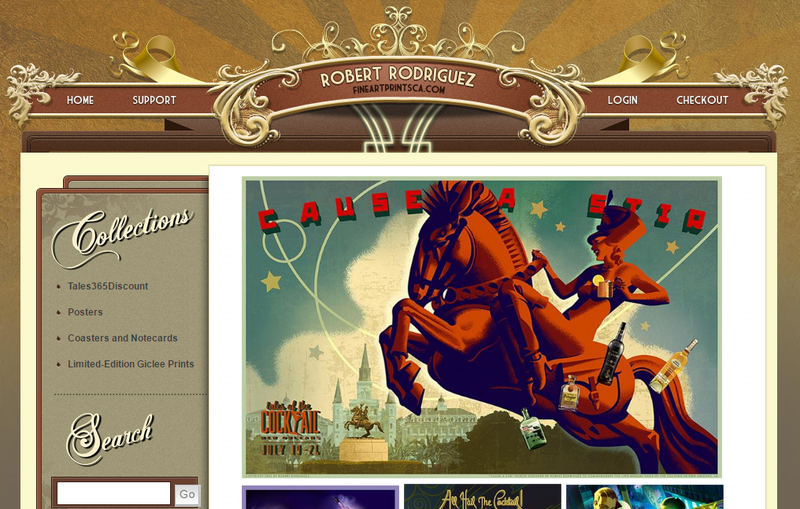 For a complete list of winners, visit the Tales of the Cocktail website. Artist and fellow Los Angelino, Robert Rodriguez, created the official poster for Tales of the Cocktail. His artwork married the spirit of the Tales with the heart of New Orleans, with a poster celebrating the Year of the Mule and Jackson Square. 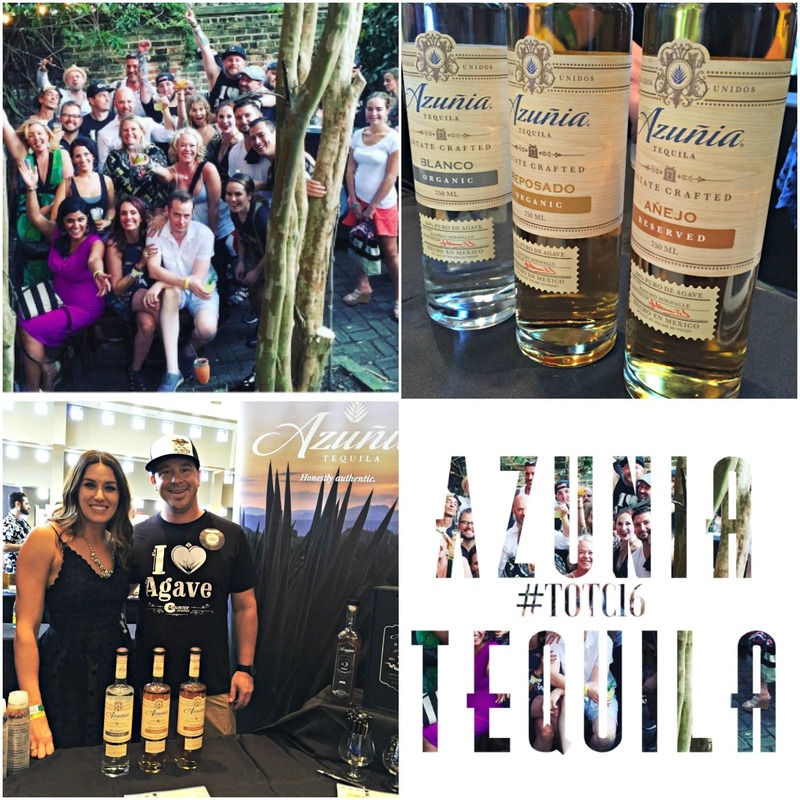 Be sure to follow Azuñia Tequila on Facebook, Twitter and Instagram for more cocktail recipes, pairings, and events. We’d like to THANK Azuñia Tequila, Kailee Asher, and the entire team for giving us access to one of the best spirits conferences in the country. We had a marvelous time! What a great trip! The tequila, food, cocktails and the MUSIC! We made some new friends and we’re looking forward to returning to the Crescent City very soon.